How Far is VGK Blue Bell? Blue Bell is a residential apartment building which is planned to offer residences for an absolutely elegant and deluxe life. The apartment has overwhelming atmosphere and surrounding where the user will find their self peaceful and relaxing. 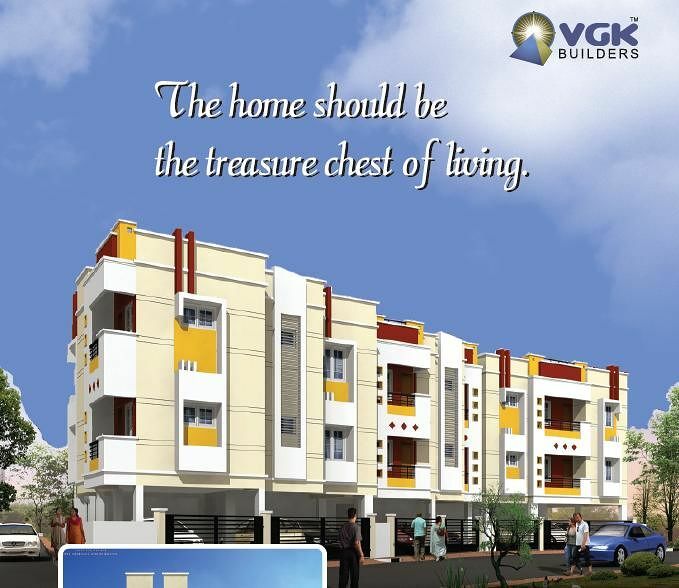 The homes here are well designed and well furnished to give you comfortable way of living. Spacious living area, huge modular kitchen, and the room allows light and air to flow freely in abundance through the large room. 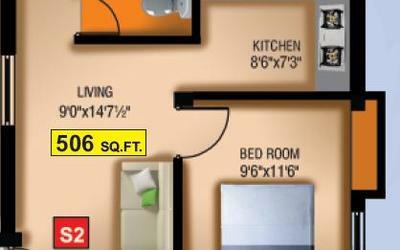 The project ensures to provide you with all the modern amenities and conveniences which you are looking for. Offering you a healthy living, Blue Bell is an ideal residential creation for you to create memorable moment of your life. R.C.C. Framed structures as per structural design 9" and 4 1/2" thick Brick wall as per working drawing plastering as per standard. Doors: Country wood door frames with 30mm thick commercial flush shutter. Toilet Doors: 30mm thick full panel PVC Door. M.S. Grill works for windows as per the architect's design. Windows: Wooden frames with openable glazed shutter. FLOORING 2"X2" Virtified tile flooring. DADOING for Bathroom 7' height glazed tiles. Kitchen Counter Black Granite Top ceramic tiles 4' above platform, S.S.sink. Rain Water and Sanitary line: PVC pipes Conforming to IS. Parryware or Hindware / metro cp fittings, Rain water Harvesting with necessary arrangements. Concealed Copper Wiring Wires conforming to ISI Modular Switches/ Wonder or any standard make. All Internal walls: 2 coat putty finish with plastic Emulsion Paint. Doors, Windows & Grills : Synthetic Enamel Paint.